The most reliable termite and pest control company. Take advantage of our “No Small Print” pest control guarantee! Committed to offering green pest control solutions. 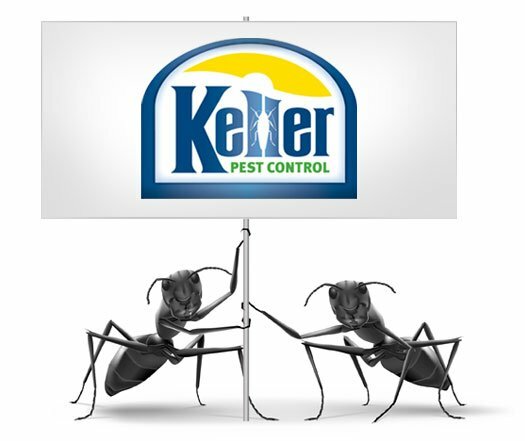 Keller Pest Control has offered green pest control since 2007. Pest control services provided on your schedule. Aiming to provide convenience, we deliver services around your schedule. If you're in need of residential or commercial pest control services, including mosquito control, termite treatment, or a pest inspection, reach out to us today by filling out the form below. For over three decades, Keller Pest Control has offered Southwest Michigan’s most effective residential and commercial pest control services. Our team has extensive experience with mosquito control, termite treatment, pest inspections, and more. Aiming to deliver a superior pest control experience, our treatment programs are built around your schedule. Most importantly, our technicians show up at precisely the scheduled time, so you’re not left waiting around. We understand that discovering insects, rodents, or other pests inside your home can be a disheartening experience. In light of this, our goal is to put you at ease, give you peace of mind, and ensure that after our visit, your home’s bugs are gone… and stay gone! I’m Kristopher Ouvry, the owner of Keller Pest Control, the company with the only checklist of 47 termite and pest control inspection points. I’m also the owner of the only Michigan company with a powerful, renewable lifetime guarantee. If termites and pests could read it, they’d hightail it fast and never even think about coming back. Even better, when you call or register online to schedule your treatment, I’ll give you Michigan’s most powerful “No Small Print” pest control guarantee! Let’s face it, we both know that one pest treatment won’t give you a gnat’s head of what you really want: a bug-free home, period! I have to convince you then, that I’m the most reliable termite and pest control company in Michigan. With our money back guarantee, we’re a company that takes all the risk out of you doing business with us, as you’re about to discover. To qualify for my guarantee all you have to do is follow the treatment program we tailor make for you. In return, I get a valued customer not just for a couple of months, but for a whole lifetime! You’ll feel good about referring us to others. Even more importantly, you’ll have a company who will get to know your home like no other termite and pest control company around. I’ll discover exactly what bugs are coming and going, what to do about them, and when. ©2019 Keller Pest Control All Rights Reserved.